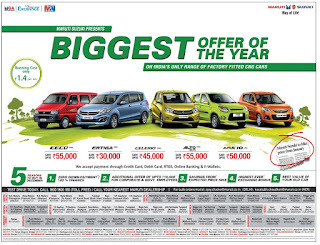 Maruthi Suzuki presents Biggest offer of the year. On India's only range of factory fitted CNG cars. Running cost only Rs 1.4 per km. 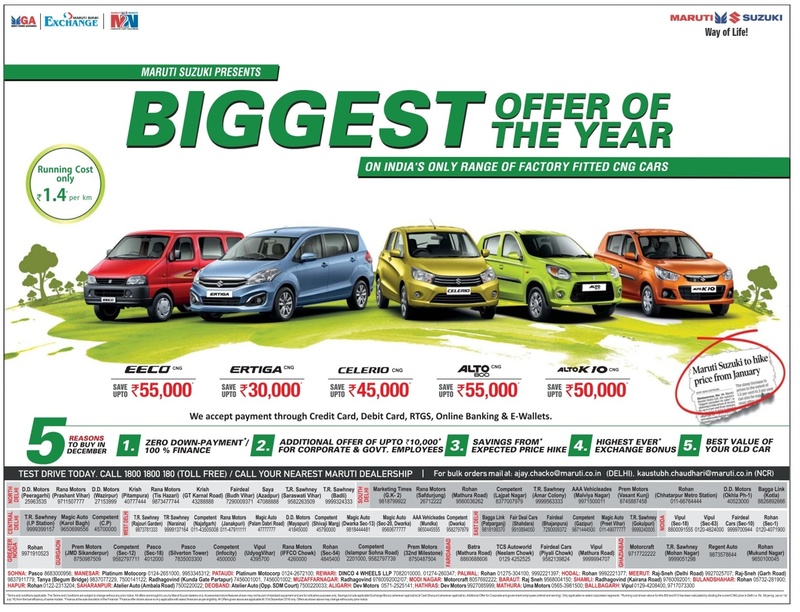 Offer applicable on CNG versions of ECCO, Ertiga, Celerio, Alto 800, Alto K10. For test drive today. Call 1800 1800 180 (toll free). 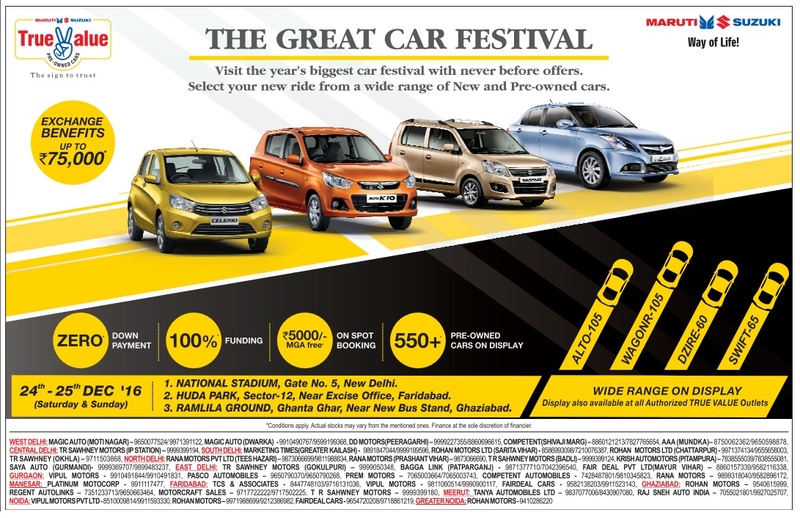 Call your nearest Maruthi dealership. 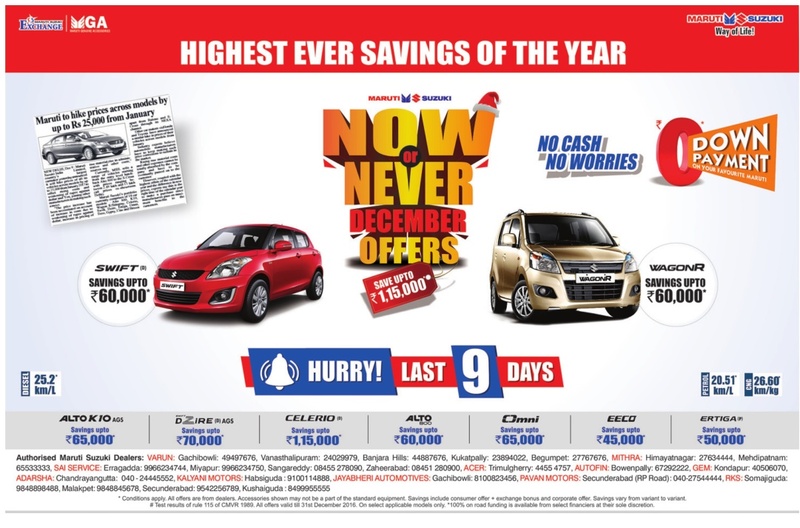 Special offer for government employees.